If we had to choose the terms most often used to describe the changes shaping the first half of the 21st century, “digital transformation” would probably be near the top of the list. One could go dizzy with all the bewildering solutions offered to the problems related to this concept. After taking part in many conferences in recent years, I aim to show the real challenges companies must presently deal with when facing digitization. Any organization failing to accept and understand consumers’ minds have become fragmented is seriously at risk of falling behind. The minds of citizens, users, customers and consumers are split into two parts: the psycho-mental and the psycho-digital. Therefore, it is in companies’ best interest to take part in and work with both parts of the stakeholders’ minds. Companies that fail to acknowledge Digital-Age communication focuses on the creation of value databases are dangerously out of step with the digital development of their customers. Let us take a closer look, then, at the first challenge regarding the changes companies must undertake in this digital transformation period. Rigorous testing is the first step toward reaching the top. In this case, testing means being able to state in less than 21 words how something is unique, the first or the best. If you also introduce the ability to build reputation around this statement while communicating effectively to reach a target audience, you will be well on your way to top positioning. Problems arise when the known scenario starts to fade and new ones appear in which we must work and coexist. Until recently, all universities and business schools contended the best course of action is accessing a select territory reserved for a privileged few—a short list or top-of-mind awareness (TOMA). However, things have changed, and companies must not only build reputation in the present but also conquer territory outside the stakeholder’s mind, which will eventually absorb the world of reputation as we know it. This is the world of Google. 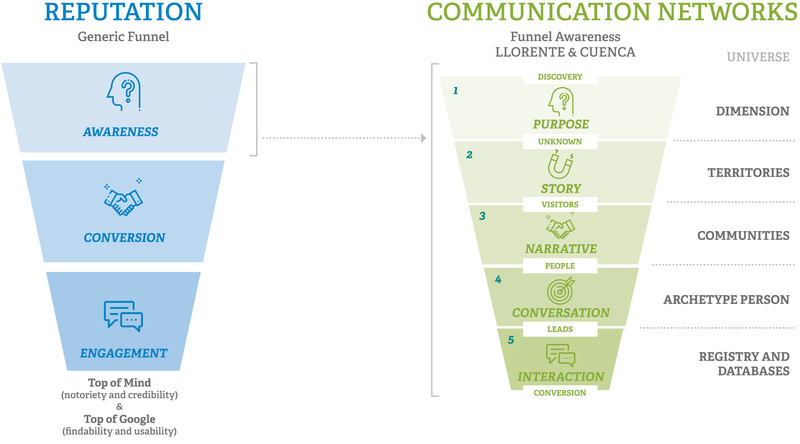 Faced with this challenge, companies must work with the same enthusiasm, effort and resources to build and consolidate their reputations both through TOMA (purpose, story, narrative and conversation) and top of Google in the digital environment. To achieve TOMA, build your corporate value proposition, which will guide you in articulating your brand story. It will help you connect and penetrate targeted areas of communications to identify the narratives that take us closer to their component parts—known as communities of interest—and to begin the conversation. It is necessary to clearly understand these communication techniques and know how to apply them to simultaneously build your “top of Google” positioning. “Top of Google” is an analogy in relation to the digital world around us. We are well into the Digital Age, and it must be understood the spectrum where TOMA is found is no longer in the minds of stakeholders, and 99 percent of brand awareness and brand relationship comes from recommendations when sharing Internet content, a tweet, a YouTube video or an Instagram like. This network, running parallel to the traditional concept of reputation, is precisely what Google focuses on, creating its own rules on what reputation is and is not. External factors (offsite): Google analyzes the quality and level of three aspects: a) level of platforms redirecting to your content, b) profile of your audience, and c) level of social media redirecting to your content. Internal factors (onsite): Internal factors facilitate Google’s work to find us when we are demanded. They are easier to build than external factors but harder to maintain if one tries to cover all of them or, better said, if one tries to be in all places. This often happens in organizations that have not understood being digital does not mean “appearing to be digital.” LLORENTE & CUENCA has identified 14 key internal factors to proper in-site management. The elements comprising the external (offsite) and internal (onsite) factors are called conversion assets. They are the contact points encountered by users allowing us to better design a memorable and recommendable experience while increasing the possibility of loyalty to a brand, a product or a service of interest. To understand the process necessary to achieve this loyalty (fans of the brand, product or service), we must first know the necessary steps to go from “total quality” to “total experience.” We will take a closer look at this challenge in the near future. He is a professor, executive-program director and president of Club Customer Experience & Inbound Marketing at IE Business School. 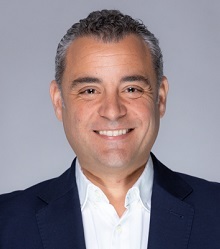 Gonzalez de La-Hoz is a member of the Digital Committee of Asociación para el Desarrollo de la Experiencia de Cliente DEC. He holds a degree in business administration from Swansea University (UK), a master’s degree in marketing and sales from the IE Business School and a master’s degree in philosophy and humanities from Francisco de Vitoria University. For over 15 years, he has been a marketing consultant for prestigious multinational firms. He is the author of “Excelencia comercial. Cómo aumentar la cartera de clientes” (2012, Wolters Kluwer), and was awarded Premio Mejores Ideas del año 2012 by "Actualidad Económica". Coauthor and director of the work “Experiencia de cliente” (2015, LID & IE Publishing).